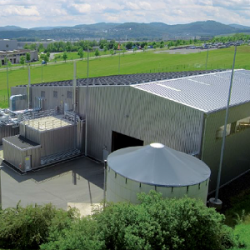 BIOFerm Energy Systems is a leading provider of turnkey anaerobic digestion and gas upgrading facilities in North America, with over 450 digester installations. BIOFerm is committed to a sustainable energetic and economic transition, waste management, and clean energy creation by harnessing biogas from anaerobic digestion of organics (food waste, manure, biosolids, etc) in order to convert them into green energy such as electricity, vehicle fuel, heat as well as fertilizing organic products. 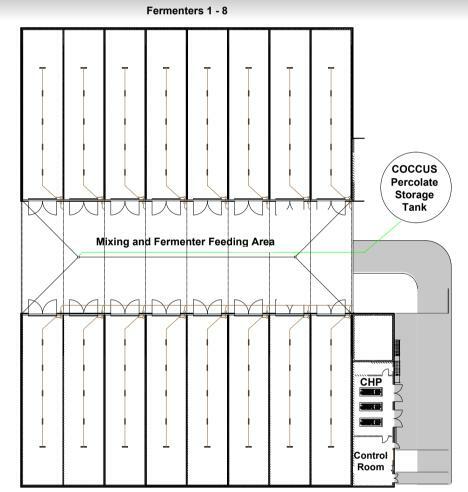 After input material is piled into airtight garage-like fermenters, feedstock remains stationary while percolate is sprayed over the pile to jump-start digestion. The BIOFermTM Dry Fermentation process operates at a solids content of >25% and typically takes around 30 days per batch cycle. 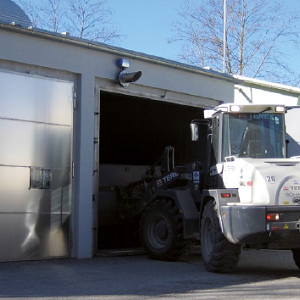 Using BIOFerm Dry Fermentation to produce renewable energy and utilize anaerobic digestion helps municipalities reach their carbon reduction and sustainable waste management goals.